Spices are a great way to add flavor without adding calories, fat, sugar, or salt. In addition to enhancing flavor, spices are a great way to naturally sneak in some added health benefits to your food. As you spice up your holiday cookies and treats this holiday season, take a look at these all-star spices. Cinnamon: This common spice, found in everything from gingersnaps to spiced apple cider to roasted sweet potatoes, has numerous health benefits. 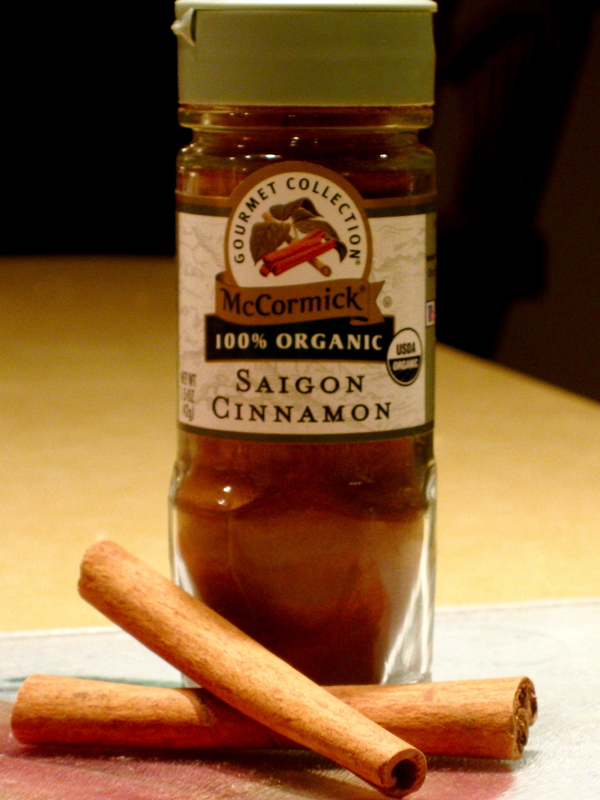 Studies have shown that cinnamon can actually lower levels of LDL cholesterol (the bad kind). Studies have also suggested that cinnamon may help to control and balance blood sugar, making it particularly beneficial for those with type 2 diabetes. Ayurvedic medicine uses cinnamon as a remedy for diabetes as well as indigestion and colds. How to simply add cinnamon to your diet: Sprinkle some on your morning bowl of cereal or oatmeal Or try this cinnamon fried apple recipe and pair it alongside your oatmeal. Ginger: This spicy seasoning is a natural remedy for quelling nausea. 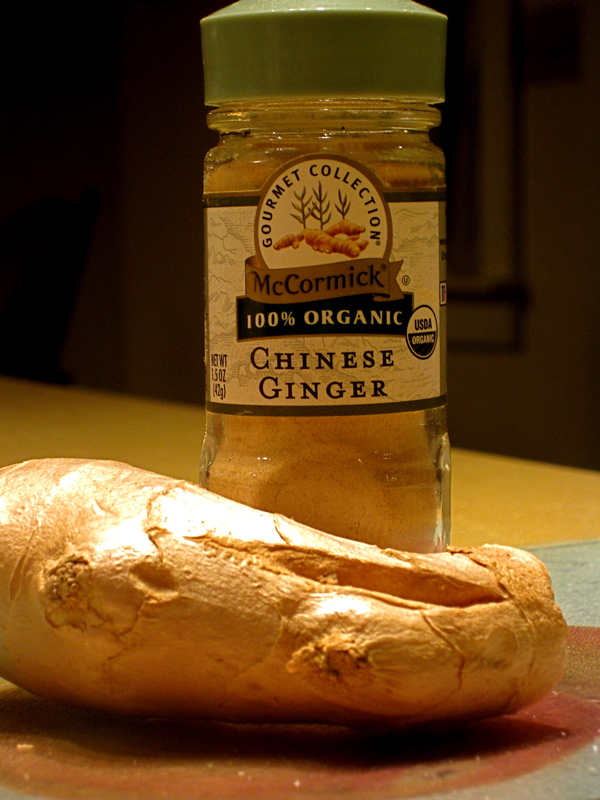 In addition to helping to settle the stomach, ginger also acts as an alleviator of heartburn. It has been shown to help protect against several types of cancer as well. One study showed that ginger can help to slow the growth of cancer cells associated with colon cancer. Another study showed that ginger helps in killing ovarian cancer cells. How to simply add ginger to your diet: Make a homemade ginger tea. This tea is perfect for soothing both the throat and stomach. Recipe: 4 cups of water, one 2-inch piece of fresh ginger root, honey (to taste). Bring water to a boil in a saucepan. Peeling and cut ginger into thin slices. Add it to the water, and simmer for 20 minutes. If desired, add honey. Nutmeg: Like ginger, nutmeg is supposed to help calm the stomach, and similar to cinnamon, nutmeg lowers cholesterol levels. Nutmeg is also said to have anti-inflammatory properties that help those with arthritis. 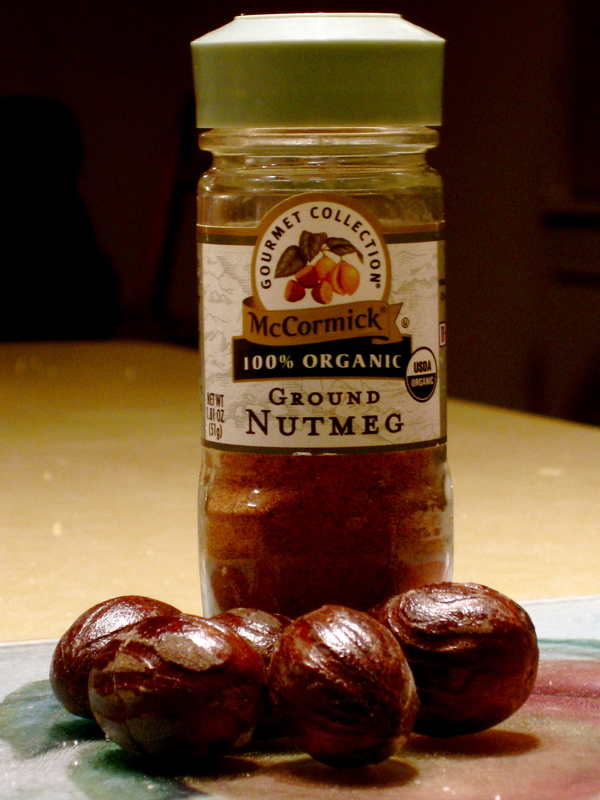 How to simply add nutmeg to your diet: Plan on drinking some eggnong this holiday season? Sprinkle some nutmeg on top to both enhance the flavor and keep the stomach settled. Also, try sprinkling it on cubed butternut squash before baking. Cloves: This is the slightly sweet spice that can be found enhancing the flavor of recipes like pumpkin pie and Worcestershire sauce. Cloves contain a compound known as eugenol that acts as a natural anesthetic. The spice also contains anti-inflammatory properties, and acts as an aid in relieving flatulence. How to simply add cloves to your diet: For a nice twist, try adding in a 1/4 tsp of ground cloves the next time you cook up your favorite chili recipe. Or, whip up some holiday gingerbread, which will be sure to utitlize cloves. 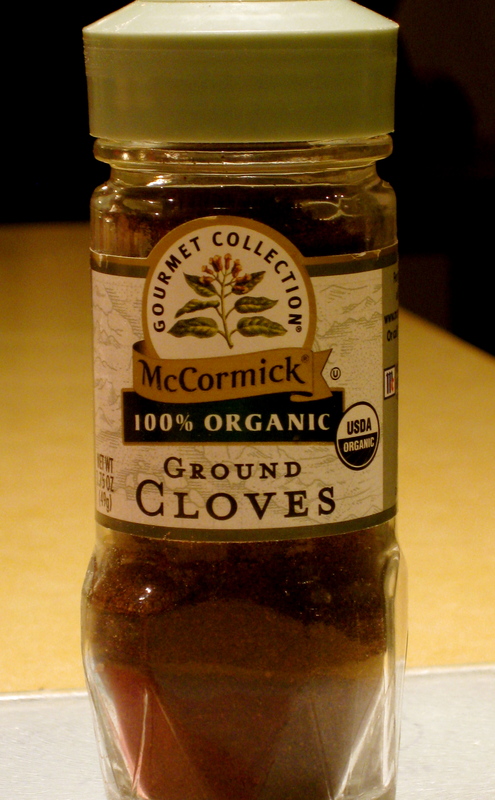 If your recipe doesn’t call for cloves, then make sure to add 1/4-1/2 tsp! Allspice: Allspice is not a combination of spices, but its taste certainly resembles a combination of cinnamon, nutmeg, and cloves. All spice is a digestive aid and can also be used to regulate blood sugar. It has also been said to help alleviate minor aches and pains. 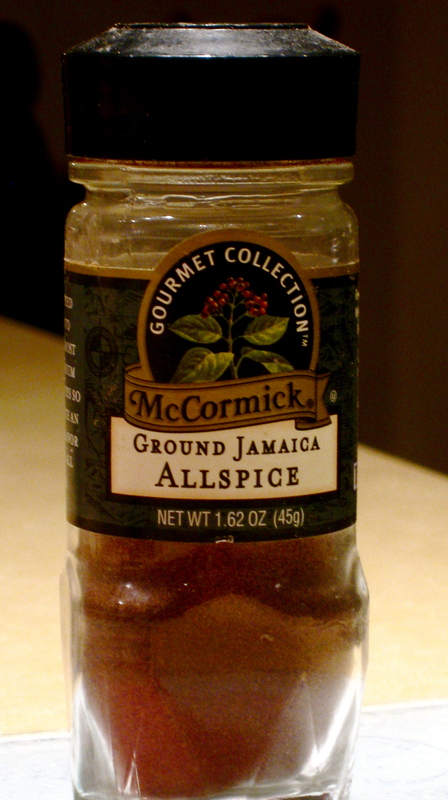 How to sipmly add allspice to your diet: For a real treat, heat up some apple cider and sprinkle a little allspice on top. Or, try sprinkling allspice into vanilla yogurt. Oh wow, I have actually not heard about those benefits of ginger!! I even took a supplement class and didn’t learn that. INteresting. Thanks for the great spice information. I am marking this post down to refer to (I mark a lot of yours!). thanks for the tips! I love seasnoningsssss esp cinnamon! Great information! I love the research in support of cinnamon and blood glucose, and ginger being great for upset stomach and nausea. Those are my favorites. I’m not huge on all-spice, I should use it more. Thanks for the post. I love cinnamon especially on my oatmeal. Great post! I read that about cinnamon and diabetes yesterday in the paper. Its pretty amazing what these things can do for you! And my dad used to make ginger tea whenever he had a sore throat. He swore by it! ooo i love me some cinnamon! Oh this is great to know! I usually add a little cinnamon to my oatmeal as it tastes great and I knew there were some benefits, but I didn’t know all the others! Thanks! Mmm…cinnamon. I love it with diced apples in my oatmeal or atop sweet potatoes. I’ve started to love ginger more and more recently.